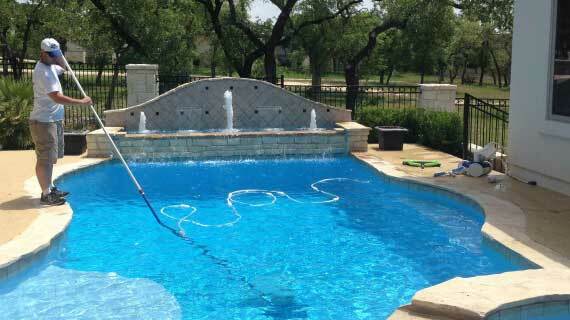 Let us take the worry and hassle out of cleaning and servicing your pool! Our fees are reasonable and our work is guaranteed. Do you have a question regarding your pool? Please feel free to call with any questions about chemicals, cleaning, safety, repairs or any other pool issues. We’ll be happy provide the information you need. We service San Antonio, New Braunfels, Boerne, Austin and surrounding areas. WestView Pools is a family owned and operated company with over 25 years of experience. As a preferred Texas pool builder, you can feel confident choosing a company that prioritizes customer needs above all else. At WestView Pools, we believe in gaining and maintaining the customer’s trust and happiness throughout any project – from initial pool design through the final touches.